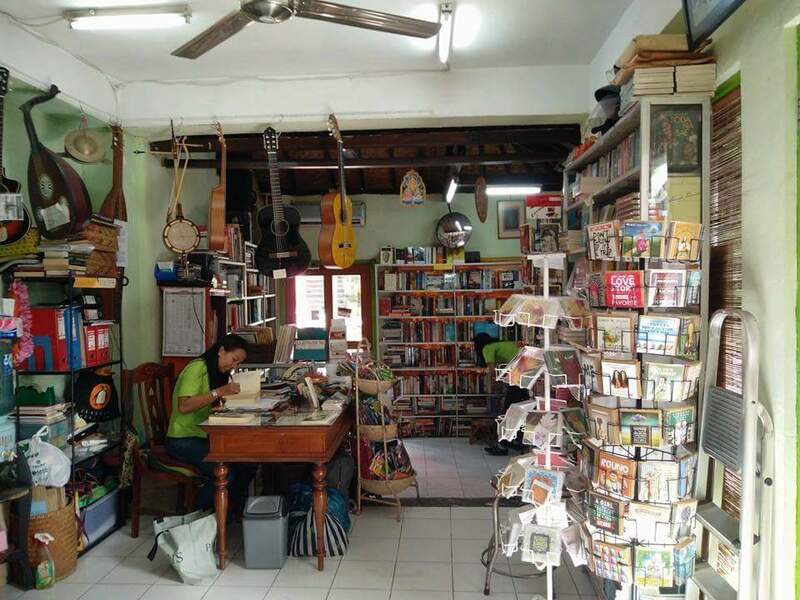 My guesthouse in Ubud was on a quiet street about 5 minutes walk from my favourite bookshop in Bali (so far). I had already read about Ganesha Bookshop and was planning a visit, so I was pleasantly surprised when I walked past it on the way to the centre on my first day. 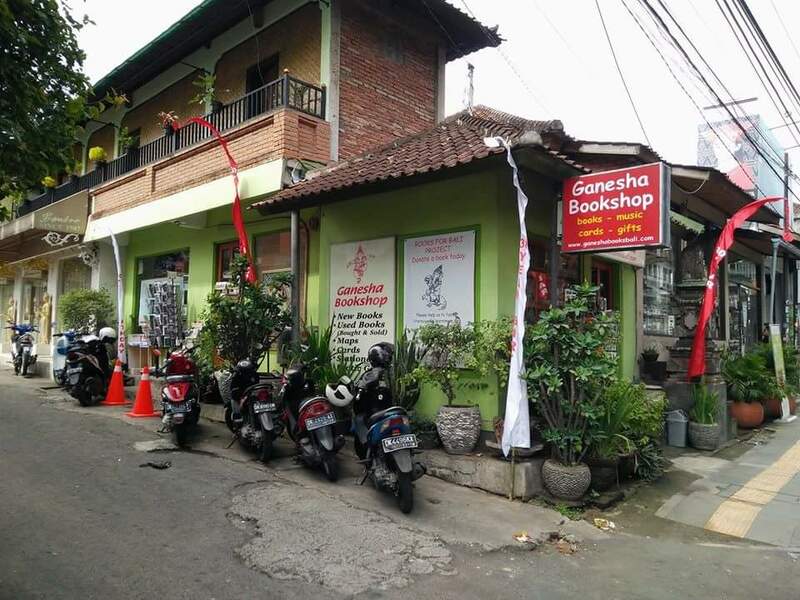 Ganesha Bookshop is on one of the main streets running through Ubud, so it’s really easy to find. It’s a small and tidy shop decorated with instruments hanging from the walls and ceiling. It has a very homely feel and a great assortment of books. 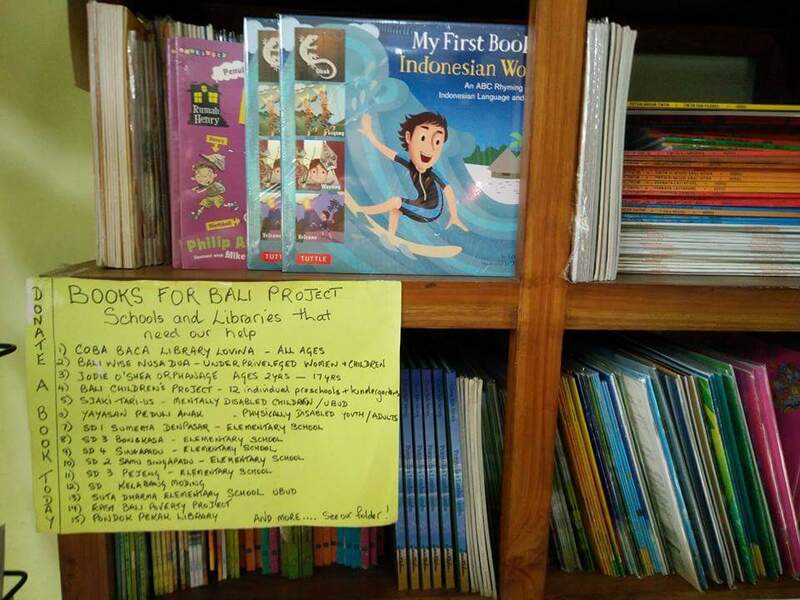 Books for Bali is a project set up to support local schools and libraries in Bali. 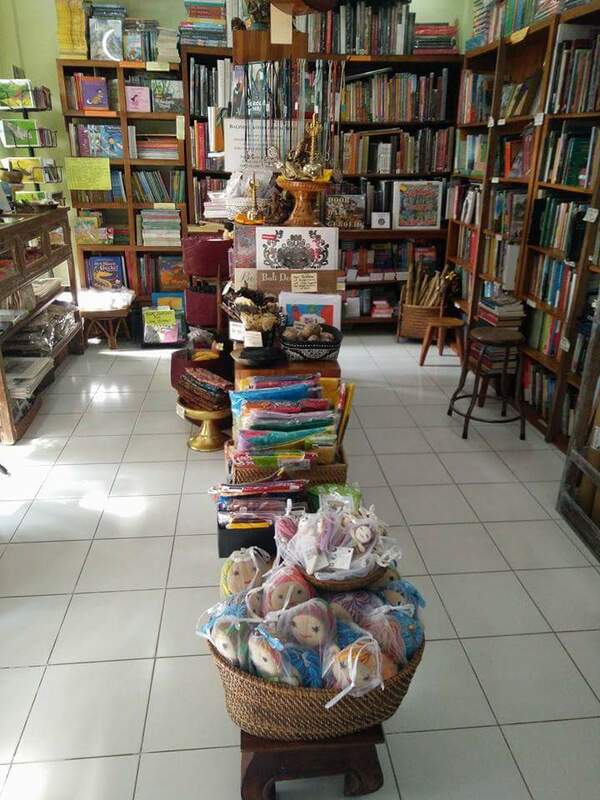 You can help out by shopping at Ganesha Bookshop and the Pondok Pedak Library in Ubud, or by donating books through their websites. 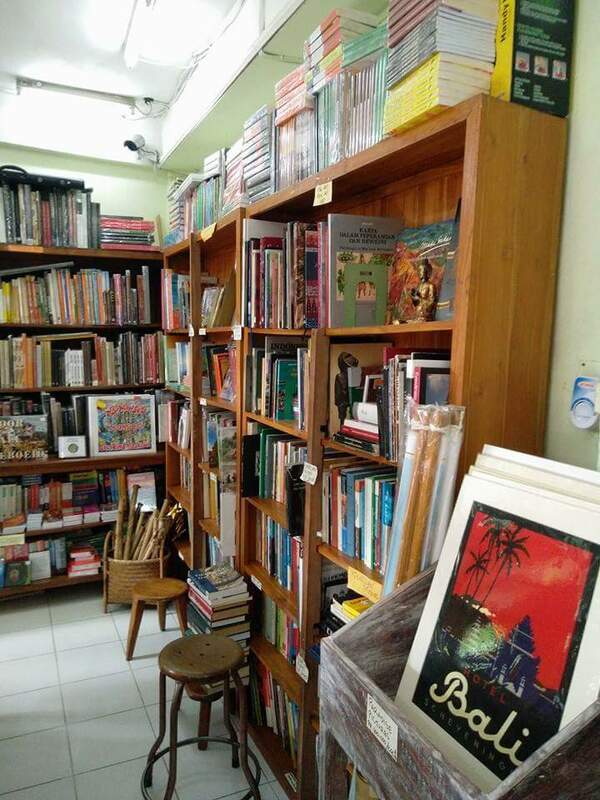 For tourists wishing to learn more about Indonesian and Balinese culture, you will find plenty of books towards the back of the shop. 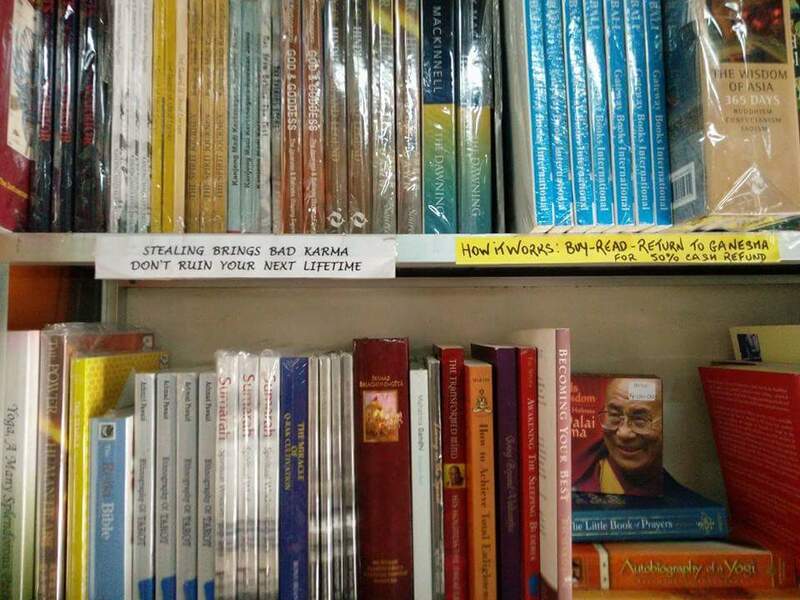 The front section of Ganesha Bookshop is mostly dedicated to second hand fiction. But I wasn’t ready to buy more general fiction yet, so picked up a book of short stories called Out of Ubud, written by emerging local writers who have taken part in the Ubud Readers and Writers Festival. 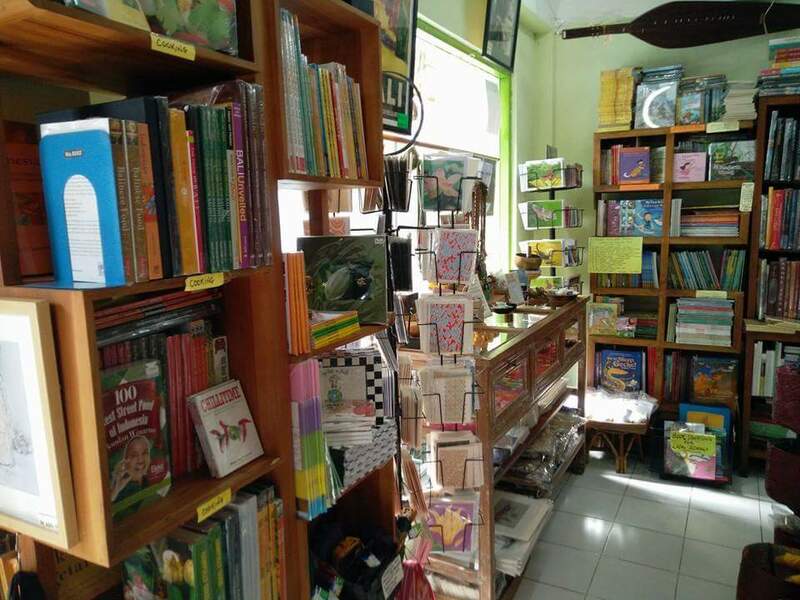 If you are visiting Ubud and are in need of a good book, I highly recommend seeing what Ganesha Bookshop has to offer. You can find them at the corner of Jalan Raya and Jalan Jembawan. Check out their website or Facebook page for more information. Another quick suggestion for any French readers out there; if you turn off the main street and walk up Jalan Jembawan, you’ll soon come to a café/ library called Rendez Vous Doux with a bookshelf packed with French books.